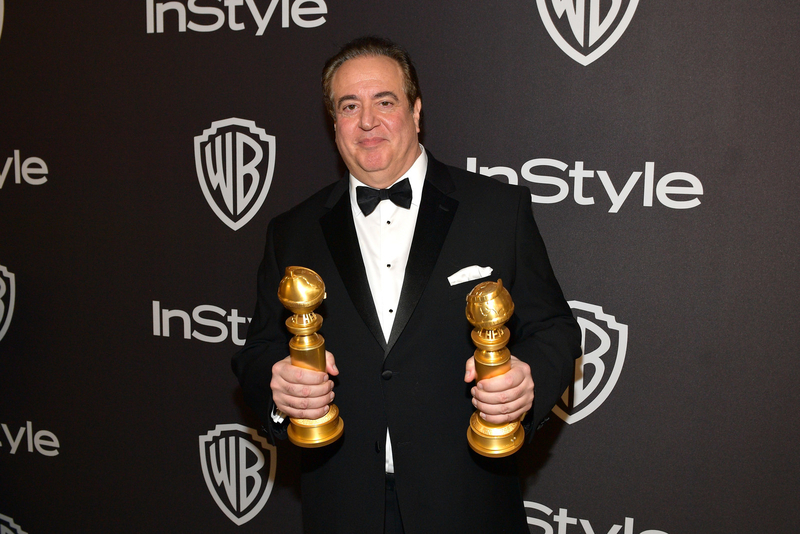 Left: Nick Vallelonga at the 2019 InStyle and Warner Bros. 76th Annual Golden Globe Awards Post-Party on Jan. 6. 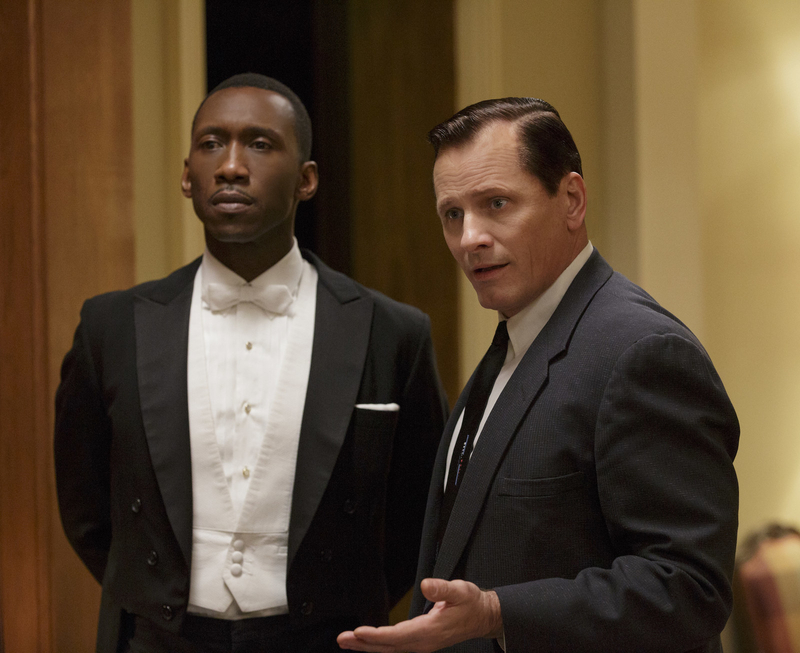 Right: Mahershala Ali and Viggo Mortensen in Green Book. Nick Vallelonga, the producer and Golden Globe–winning co-screenwriter for the 2018 film Green Book, tweeted in 2015 that he saw "Muslims in Jersey City cheering" when the World Trade Center towers collapsed on 9/11. The tweet, confirmed by Vallelonga's manager, and the account behind it were deleted after BuzzFeed News contacted representatives for the producer and Universal Pictures. On Sunday, Vallelonga won a Golden Globe for the screenplay for Green Book, which also won for Best Motion Picture, Comedy or Musical at the awards ceremony. Vallelonga's tweet then resurfaced on Wednesday. It was posted on Nov. 25, 2015, and was directed to Donald Trump's Twitter account. The tweet appears to reference when then–presidential candidate Trump claimed that he had seen "thousands and thousands" of people in Jersey City cheering the towers coming down. No footage or credible reports have ever corroborated those claims. Vallelonga's tweet claiming Muslims cheered the collapse of the World Trade Center is especially out of step with the themes of Green Book, which depicts the relationship between Vallelonga's father, known as Tony Lip (and played by Viggo Mortensen), and Don Shirley (played by Mahershala Ali), an acclaimed classical pianist, when Lip drove Shirley on a concert tour through the Deep South in the early 1960s. Ali, who won the Golden Globe for Best Supporting Actor for the film, is Muslim, which producer Jordan Horowitz (La La Land) noted when he called Vallelonga's tweet disgusting. Nick Vallelonga wrote Green Book. My industry just gave him a Golden Globe for writing. This remains on his timeline. Mahershala Ali is a Muslim, and a beautiful, generous and kind man. This is all just too disgusting. On Thursday, Vallelonga issued a statement apologizing. "I spent my life trying to bring this story of overcoming differences and finding common ground to the screen, and I am incredibly sorry to everyone associated with Green Book," he said. "I especially deeply apologize to the brilliant and kind Mahershala Ali, and all members of the Muslim faith, for the hurt I have caused. I am also sorry to my late father who changed so much from Dr. Shirley’s friendship and I promise this lesson is not lost on me. Green Book is a story about love, acceptance and overcoming barriers, and I will do better." Vallelonga's tweet is the latest scandal to hit the film. Prior to its release, Mortensen had to apologize for using the n-word at a post-screening Q&A, and members of Shirley's family have objected to the way he's depicted in the movie. The film is still considered a major awards contender, earning major nominations from the actors, producers, and directors guilds, as well as winning multiple Golden Globes. When accepting the Golden Globe for Best Motion Picture, Comedy or Musical, director Peter Farrelly said, "All we have to do is talk, and to not judge people by their differences, but look for what we have in common, and we have a lot in common."